It was a great experience to write this guestpost and I thank my friend Alessandra Malozzi for giving me the opportunity. Yet, it made me think about the reason why I love Umbria so much and it keeps me busy since then. Umbria is home to me. Its food comforts me, for it´s not too hard to prepare and yet, when you have finished your lunch or dinner, you feel completely satisfied. Its environments are so amazing, that it is impossible not to feel good. Its people are special. 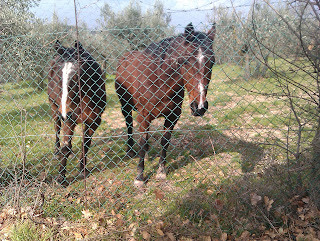 As I wrote in my blog, I love their pride to be Umbrian, but it is more than that. Umbrians don´t pretend. They are what they are and they never try to hide the truth. I really love my `contadini` friends over there. 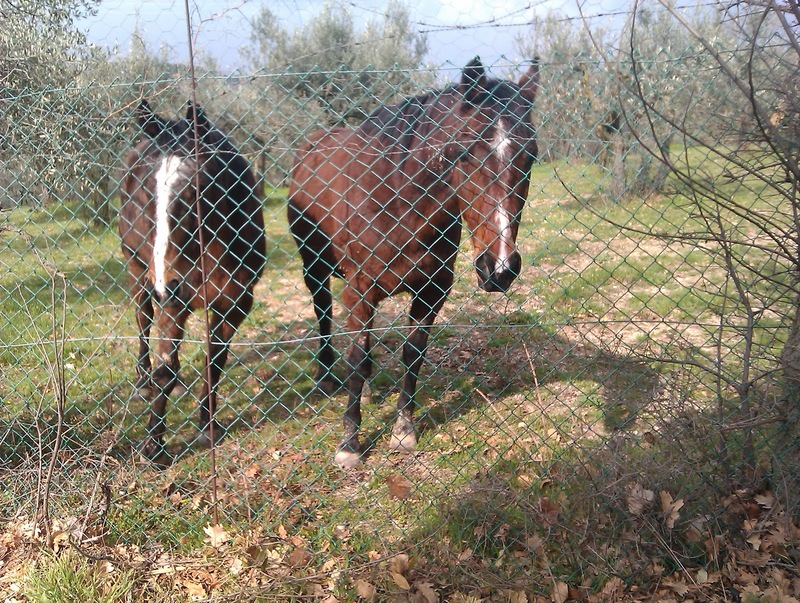 My neighbor in Viepri, Marcello, owns sixty hunting dogs. I don´t think I have to tell you how that sounds at 5.00 am. Let alone, how my two German Shepherds react to them. We never talk about it, I don´t complain, he doesn´t apologize... but he lets me collect the figgs from his tree. Our way of telling each other it´s allright. There´s another neighbor, Bruna. She thinks I don´t understand her (which is true, because she speaks Umbrian only) so she always greets me very cheerfully, but hardly talks to me. But every time I am in Umbria, she leaves me a basket filled with eggs and after that, I can never thank her because she doesn´t show up anymore. 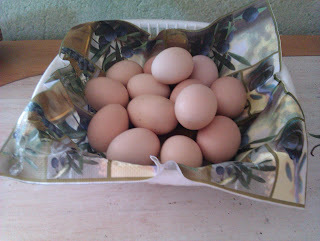 So I tell my neighbor to tell her that I am very grateful and it seems to work out, for the eggs are always there. Another experience worth mentioning is the day I went out to buy shoes. After ten minutes, we had to pull over because there was a dog on the road, exhausted, it seemed ill and we just had to get it into our car and drive back to the village of Viepri. A few men standing outside started phoning around, telling everyone that `there were some American tourists that found a dog.` To be short: after half an hour, someone arrived and was too happy to have his dog back... and asked me if I had seen the other one he lost, and, of course, he offered me a coffee at his place. We left and guess what.. we found the other dog. So we drove back in a hurry and fortunately, the men were still there so we could hand over the other dog too. And then, the special, heartwarming Umbrian spirit came clear.. the owner told us he owned a restaurant in Viepri and he would be honoured to serve us a dinner, and then, the whole village came to see what was going on and they thought it was only correct to reward me for bringing back the dogs. For all these things, the Umbrian people make me feel welcome and appreciated. How can I possibly not love them? I just hope I may enjoy their hospitality forever and I hope it won´t take too long to be one of them.